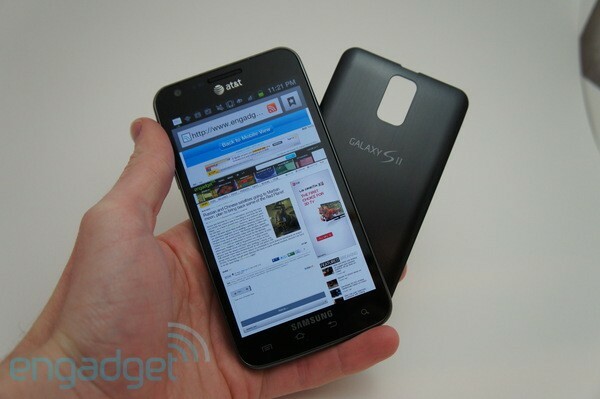 Who knew AT&T's version of the Samsung Galaxy S II had a younger, larger brother on the way? Just a hair over a month after the carrier launched its flagship Android device, it's already set for another go-round. This one, the Galaxy S II Skyrocket, offers a larger display and "true" 4G connectivity using LTE -- yes, it's a pioneer blazing a new trail to Ma Bell's wild and untamed frontier, right alongside the HTC Vivid. It's time to answer the burning questions: what kinds of speeds are possible on AT&T's LTE network? Is the series' legendary battery life up to snuff on the next-gen network? Join us below to find out. 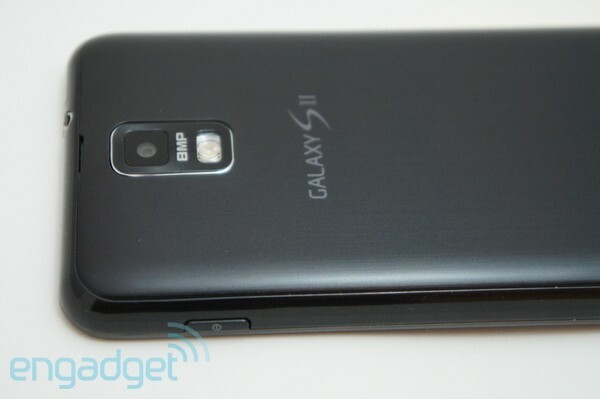 By being a member of the Galaxy S II family, you've already come to know what to expect in the Skyrocket's hardware. The usual suspects are present: 1GB of RAM, an eight megapixel rear camera with an LED flash and 1080p video capture, a two megapixel front-facing camera and a WVGA Super AMOLED Plus display with a tried-and-true RGB matrix. 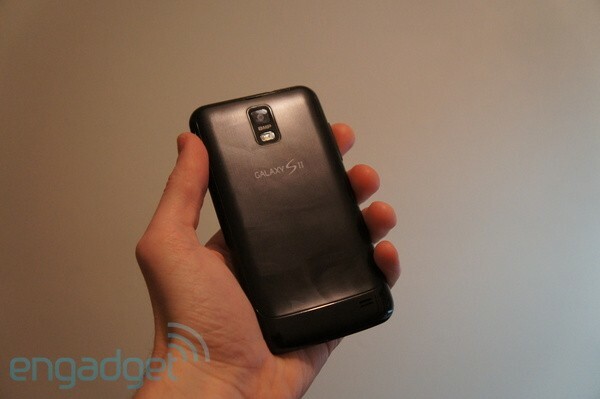 Yet each device that bears Sammy's Galaxy S II logo still adds a few unique characteristics to give it a personality of its own, and the Skyrocket's definitely no exception. The Skyrocket is known as the Samsung Galaxy S II LTE in other parts of the globe for its obvious inclusion of next-generation network connectivity, a feature that certainly helps the phone stand out from the rest of the pack. It, like the HTC Vivid, has the heavy burden of ushering in a new era of smartphones on Ma Bell's lineup -- not unlike the LG CU500, the pioneer for HSDPA (3G) on Cingular a distant five years ago. The Skyrocket brings back recent memories of T-Mobile's design sensibility. On the front it offers a 4.5-inch WVGA Super AMOLED Plus display and brandishes the same rounded corners and four capacitive touch nav buttons on the bottom. Underneath the glass, it follows T-Mo's lead by switching from the stellar 1.2GHz dual-core Exynos CPU to a 1.5GHz Qualcomm APQ8060 (a Snapdragon S3) -- likely due to the lack of LTE support on Sammy's homegrown SoC. It also has virtually the same dimensions, measuring in at 5.11 x 2.71 x 0.37 inches (129.8 x 68.8 x 9.49mm), making it thicker than the T-Mobile iteration by 0.1mm. With the international model measuring 8.49mm and the Epic 4G Touch 10mm, this puts the Skyrocket near the beefy end of the GS2 spectrum. Oh, and did we mention beef? At 4.6 ounces (130g), the Skyrocket is actually lighter than the 4.77-ounce (135g) T-Mobile model and stays even with Sprint's Epic 4G Touch. Level of comfort is more noticeable than fractions of a millimeter, and we felt right at home with the Skyrocket. But even with its extra heft, we didn't seem to mind. Sure, coming out with the thinnest phone is all the rage these days, and we enjoy a wafer-sized device as much as the next person. However, level of comfort is more noticeable than fractions of a millimeter, and we felt right at home with the Skyrocket, with only one major exception: its battery cover is as smooth as a baby's cheek, making it incredibly slippery in our hands. We appreciate the textured back found on the other phones in the series because they add just enough friction to keep the device from getting dropped. On the bright side, at least Samsung and AT&T refrained from giving the Skyrocket a glossy finish, which would've made the handset a surefire fingerprint magnet. 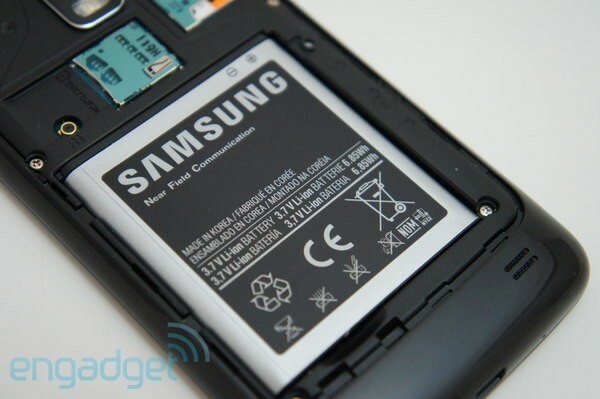 It actually reminded us of the battery cover found on the T-Mobile Galaxy S 4G. As to be expected, the Skyrocket's Super AMOLED Plus display is always worthy a mention. Our minds still haven't been changed about the gorgeous non-PenTile screen, though we're looking at the horizon with hesitancy as new handsets featuring 720p HD resolution are making their debut this holiday season. The RAZR's qHD PenTile display pales in comparison to the Super AMOLED Plus found on every Galaxy S II, but the 1280 x 800 resolution on the Galaxy Note would defeat either device soundly in a bar fight. And it's only getting better: the HTC Rezound, for instance, sports a full HD display on a 4.3-inch screen, resulting in 341ppi -- which, if you recall, is higher than the iPhone's Retina Display. Regardless of how beautiful the Skyrocket's screen is, keep in mind that it's now two steps behind the top-of-the-line -- a fact that display connoisseurs likely won't overlook, especially when they're forking out $250 for a brand new handset that they'll commit to for two years. How's it going to compare with the state-of-the-art devices that come out at CES 2013, just a little over a year from now? Since the imagery has stayed identical within the Galaxy S II's family, the Skyrocket's camera retains the same eight megapixel sensor and innovative UI. This means the sensor had a few struggles in the narrow dynamic range, causing washed-out images in direct sunlight and murky ones in low-light conditions. In-between, however, only the 12MP Nokia N8 camera rivals this series' imagery. Fortunately, you have a plethora of settings you can tweak to make the best of those extremes, such as white balance, ISO, metering, focus mode, exposure and contrast, among plenty others. And even better, you can customize your preferences, giving you the chance to put the ones you use most into a handy sidebar on the left side of the screen. The Skyrocket also has the same stellar 1080p video capture performance we've grown used to loving in the series, with quality that matches its counterparts. But just like on the T-Mobile version, the camera would occasionally take an extra second or two to find its focus in the middle of a video. This happens mainly when changing scenery, as we noticed that the focus generally locked when filming a location for a lengthy amount of time. What shows up on the screen is part of the experience that has become so familiar to us as we've progressed through each Galaxy S II review. The dissimilarities between this and the rest of the group are few and far between. The Skyrocket comes with Android 2.3.5 preinstalled (versus 2.3.4 on the non-AT&T iteration) dressed up with TouchWiz 4.0 on top. These days, seeing an Android version start with a two may feel like a disappointment, but AT&T has come out on record declaring that it will for sure be updated to Ice Cream Sandwich -- we just have no idea of when that will happen. For now, however, the user experience was identical to that of its predecessor. As before, we loved the opportunity to shove whatever apps we wanted into special folders in the App Menu, eliminating a huge amount of clutter from our valuable screen real estate. There were only a few minor course corrections in the lineup of pre-installed apps. Mog Streaming Radio is one such newcomer -- likely to accentuate the device's fast downloading and streaming capabilities. Alas, these types of programs may prove to be too much for your tiered data plan to handle, so you'll definitely want to be careful and keep a close eye on your monthly internet use. Keeping Mog company in the land of bloatware is the usual suite of AT&T apps (including FamilyMap, Navigator, LiveTV, MyAT&T, Featured Apps and Yellow Pages), as well as Qik Lite, NFS Shift, Amazon Kindle, Quickoffice. Samsung throws in Social Hub, Media Hub, AllShare, AP Mobile, CIty ID, Kies Air and News & Weather. A handful of the apps are uninstallable, but be prepared to tuck the majority of them away into special folders. We grew disappointed that one tiny, yet important, feature was left out: an LTE on / off switch. We grew disappointed that one tiny, yet important, feature was left out of the UI: an LTE on / off switch. The HTC Vivid's missing it as well. Bumping up our connectivity to the next G is great, but it happens at the expense of battery life, so it'd make perfect sense to have a way to automatically shut that option off... right? Much to our chagrin, no built-in switch could be found on the Skyrocket. Granted, there's a way to access the phone's test mode and turn it off manually when necessary (by dialing *#*#4636#*#* -- use at your own discretion), but as we saw on similarly switch-deficient devices like the HTC Thunderbolt, it's not a guaranteed fix and is more of a hassle than it's oftentimes worth. Additionally, a few third-party switches exist for Verizon's LTE devices, but none appear to be available for the Skyrocket yet. Regardless of the alternate solutions, customers deserve the ability to choose whether or not they want to take advantage of AT&T's "true" 4G service, without having to memorize special codes or wait for special apps to do it. Much like its predecessor, the Skyrocket comes with NFC -- Near-field Communication -- built into the battery, but the firmware mysteriously omits the spectacular feature. Okay, that's not entirely true: we found a lonely NFC service app laying dormant in the application management tool, taking up virtually no storage space. We're positive there's a method to the madness here, and its purpose will likely be made known unto us at a later date; perhaps AT&T's mobile payment plans will see daylight soon. As this is Samsung and AT&T's first daring adventure into the world of LTE, it'd be a dirty shame if we didn't touch upon the device's performance in that realm. Of course, the difficult part was actually finding a market to test it in. And we don't say this to be facetious -- truth is, with the next-gen network only working in nine cities as of this writing, none of our editors live within close range of AT&T's LTE service. That'll change in due time, of course, but in the meantime we sent one of our mobile editors to Boston to put the Skyrocket -- as well as the HTC Vivid and Jetstream -- to the test. The results were rather mixed. At its best, the Skyrocket delivered top speeds of 21Mbps, which sounds ridunkulously fast -- until it gets compared to the 32Mbps downloads the Vivid pulled down at the same place and time. At its worst, it couldn't pick up an LTE signal, resorting back to HSPA+ even though the Vivid and Jetstream easily managed to find three bars of reception. It took multiple hard resets before the device finally succumbed to our wiles and revived its connection to LTE (As a disclaimer, AT&T had some difficulty provisioning the SIM cards in our review units properly, so we'll try to give it the benefit of the doubt until we can do some additional tests). We'll admit that it's difficult to know if this a consequence of the included hardware or simply first-day network hiccups, since we wasted no time in checking out the brand-new service the moment it was commercially available. That said, the Vivid still seemed to manage consistently faster speeds. Update: We just received a screenshot from Justin, a reader in Dallas that bought a Skyrocket this week. His results were much better than ours, as he's been pulling down max speeds of 55Mbps. Another wild card in the Skyrocket's performance is the 1.5GHz Qualcomm APQ8060 (Snapdragon S3) CPU and accompanying Adreno 220 GPU, the same SoC setup as we saw on T-Mo's flavor. How does it hold up against the almighty Exynos processor found in so many of the other members of the Galaxy S II family? Pretty well, actually. While we've had a strong admiration for the processing prowess of Samsung's homegrown silicon, the Skyrocket's chip isn't anywhere close to a slouch either. In fact, unless you're paying close attention, you probably won't even notice a difference at all. The Qualcomm-powered device handled itself well throughout our menial myriad of tasks and didn't skip a beat. While the Vivid proffers faster network speeds, Sammy's LTE gem took the cake in all of the benchmarks by a hefty margin in every category but one. We know, we know: benchmarks aren't a real-life scenario and can be adversely affected by the fact that one offers a qHD display versus the other's WVGA. But we still have a hard time believing that two phones using an APQ8060 CPU -- and are separated by a mere 0.3GHz -- would result in Quadrant scores that are 1,200 points apart. 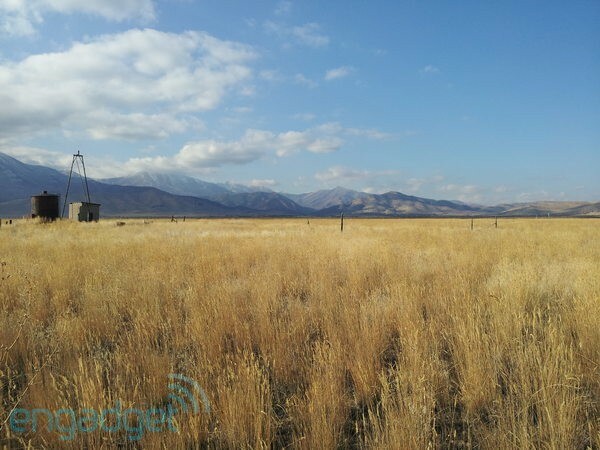 Being the pioneer on AT&T's 4G Oregon Trail means we're also now able to learn exactly how the carrier responded to potential battery life concerns. After all, CEO Ralph de la Vega decreed last month that all of his company's LTE phones would utilize a tech called "circuit switch fallback" to conserve power and keep the devices thinner. Did it work? Whether or not we have Ralph's new tech to thank, it seems to make a difference on the Skyrocket. Its 1,850mAh juicepack may play a huge role in keeping the phone powered on for a healthy period of time, but regardless, we tested the battery on both LTE and HSPA+ and came away happy in each instance. 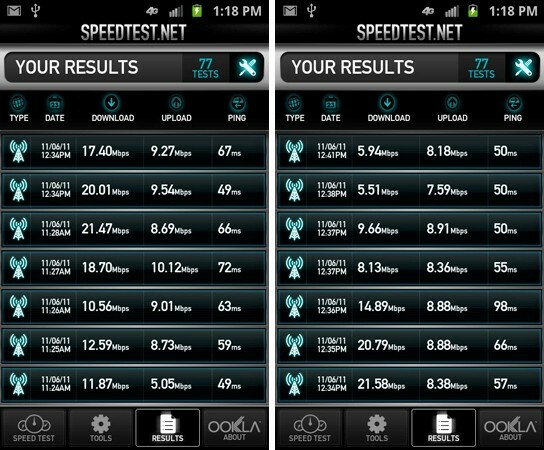 When trying out LTE, most of our time was spent running speedtests and syncing social networks and email. We began this pattern of use around 10:30am and still had 60 percent remaining five hours later -- and actually retained a charge into the next day. Naturally, heavier usage will drain the battery much faster, but we're confident that using the Skyrocket moderately in an LTE area will get you through your full workday and may even keep you going until bedtime. We weren't able to run through our standard tests during our brief time in Boston, so we can't give a truly scientific answer, but it definitely holds a longer charge than any Verizon 4G phone we've reviewed (as a sidenote, the Skyrocket held its power longer than the Vivid, so mileage may still vary from phone to phone). And that's not all. Conducting our full battery rundown test in an HSPA+ area, we managed to eek out nine and a half hours of life before the Skyrocket gave out. Moderate usage -- continuously checking emails, doing our share of social networking, downloading apps and taking pictures -- landed us an entire day and even remained charged overnight. Indeed, we determined that LTE still has a detrimental effect on AT&T's smartphones, but we were just as impressed with this device's battery life in both scenarios. 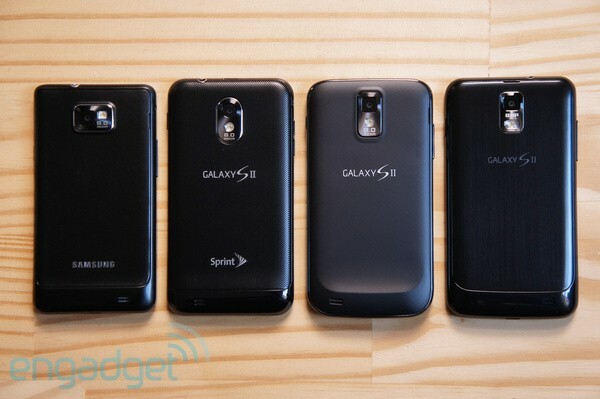 With the addition of the Skyrocket to the Android lineup, AT&T has graciously given potential buyers a dilemma: you can choose between the 4.3-inch Galaxy S II without LTE, or a larger, 4.5-inch one that offers that higher connectivity. The size difference isn't that significant, and neither is the variety in processing power. What's a person to do? One factor to consider when choosing between the two is the tradeoff you get on battery efficiency. As we mentioned earlier, even though the Skyrocket's backwards compatible to 21Mbps HSPA+, the device doesn't have a homegrown LTE on / off switch -- so if you're in a "true" 4G coverage zone, it's going to suffer from a lower lifetime than you would get on the HSPA+ only version. It comes down to whether your need for longer battery outweighs your cravings for blazing-fast downloads. Its ability to find your locale won't have an influence on your decision, however, because the GPS is just as good on the Skyrocket (if not better) as it was on the rest of the series. We were incredibly impressed by the speed at which the Skyrocket's GPS locked in our location. While most devices do the job perfectly well, this one had our spot pegged in three seconds -- less time than it took to load the maps -- and was accurate within eight meters with no outside assistance at all. Call quality? No problem. As with the other members of the family, we heard the other line clearly with no static and the speakerphone is definitely on the loud side -- for both making calls and playing back media such as movies or music. As always, network quality varies from place to place and may have an effect on dropping calls, but we didn't lose a conversation once in our abode, which consistently hovers around three to four bars of signal. When we reviewed the HTC Vivid, we almost gave the Samsung Galaxy S II Skyrocket a mini-review of sorts: we compared the two LTE pioneers side by side, and while the Vivid has its fair share of strong points, we prefer the latter. It's thinner, lighter, trumps its rival in benchmarks, offers TouchWiz UI instead of Sense and wins hands-down in battery life. Of course, we've come to expect this kind of turnout with Sammy's flagship series, and we're glad to see it continue into the realm of "true" 4G. If you've been trying to decide on which Samsung Galaxy S II to plunk down your hard-earned cash on, the Skyrocket certainly complicates the choice you have to make -- especially if you're sticking with AT&T as your carrier. After all, you're looking at two incredibly similar devices that come with high recommendations. Ultimately, it comes down to two factors: display size and network speed. If you like the larger screen and wouldn't mind taking advantage of some LTE goodness when it comes to your town, you likely won't go wrong by taking this Skyrocket for a flight. Joseph Volpe and Myriam Joire contributed to this review.